Nelamangala Town Council President K.M. 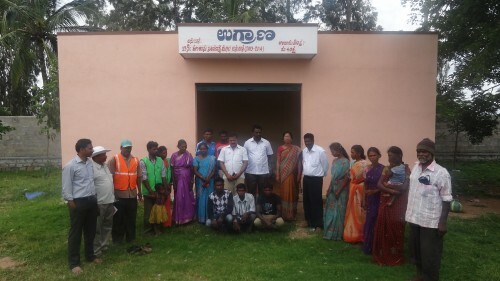 Shivakumar with staff of town council and Hasiru Dala during the inauguration of Dry Waste Collection Center. Last week, Nelamangala Town Municipal Council general body unanimously passed a resolution for inclusion of wastepickers in waste management. Nelamangala is a small town, located in Bangalore (rural) district, with a population of 37,232. The city generates around 7 tons of waste a day and has around 80-100 wastepickers. Town Municipal Council has agreed to enumerate the wastepickers and issue them the occupational identity cards. With this Nelamangala will be the second city in Karnataka to do the same, after Bengaluru. All this has been possible because of the pro-active participation of Town Council Environmental Engineer Mr. Lohith D. and the organising efforts of activists of Hasiru Dala, Thimmaraju A.G. and Sowbhagya.